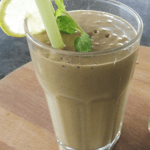 This high in protein low calorie smoothie tastes fresh, charges you with energy and gets your brain functioning at a higher level again. Banana and avocado give it a creamy taste while melted chocolate gives it a rich chocolate flavor without additional sugar. 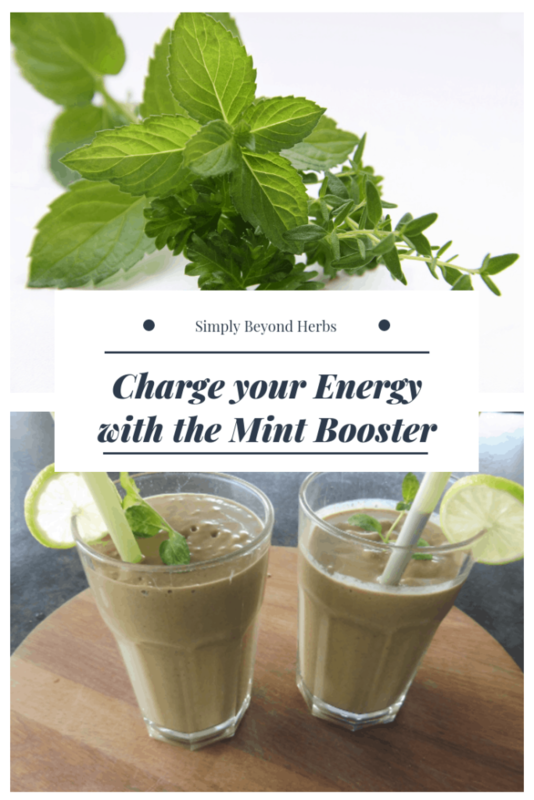 Mint is a calming and soothing herb that has been used for thousands of years to aid with an upset stomach or indigestion. Lime will balance the taste well and charge you with additonal vitamin C. As per the study “The world’s most nutritious food” almods ranked the first with their protein, fiber and healthy fats. We like almonds not only for their nutritional value but also for their taste. I try to implement them as much as I can in daily snacks and breakfasts. That is the reason I made homemade almond butter solely from roasted almonds. It is very tasteful and healthy, kids use it instead of nutella on their bread and I also use it for smoothies like this one. This mint infused banana avocado smoothie I usually make for kids on the weekends when they wake up a bit later than usual so it is too late for breakfast but still two hours to go before lunch. It is a quick fix which make them happy and fullfilled. Sometimes I add 1 tbl spoon of honey. Blend all ingredients together and serve with mint leave and slice of lemon on the top. ENJOY your healthy and nutrition rich breakfast or snack! I so love this recipe. would have to try it. I start almost every day with a smoothie. This sounds delicious. I love the idea of melted chocolate! Yum! I love putting avocado in my smoothies, but have never tried adding melted chocolate. I am definitely going to have to try that! I’m one of those few people who don’t like avocado but this is a healthy and protein packed way to start the day – for the avocado lovers! These flavors sound so wonderful! I would love to add mint to my smoothies!! Oooh this sounds so good and I love that you added avocado! This must be so creamy and delicious, I love mint! This looks yummy! I’ve never tried avocado in a smoothie before but it sounds great! I always love a combo of avocado, almond milk, and chocolate. Never thought of adding banana and mint to it; and that sounds amazing!